Once a quarter, you should be seeing emails appear in your inbox inviting you to GRCVB’s See for Yourself (SFY) Fam Tours. The SFY series was created to provide a chance for hospitality partners and particularly front-line staff to be visitors in their own area. They can “see for themselves” some of what the Raleigh area has to offer, to in turn be able to provide educated recommendations and referrals to out-of-town guests. The winter SFY tour, “Originally Raleigh," A Downtown History Tour, was held last week on Wed., Dec. 5, 2018, and a motor coach squired a busload of participants around downtown Raleigh while they toured the N.C. State Legislative Building, the City of Raleigh Museum (COR Museum) and the Pope House Museum. “The SFY tours were designed for anyone in the hospitality industries—particularly those front-line staff employees that have direct contact with visitors—as an opportunity to educate them on the destination by suggesting things to see and do in Raleigh and Wake County. As a result, they become co-advocates for us by increasing the excitement and appeal of the destination and raising the chances of extended stays,” said Tammy Jeffries, CGSP®, assistant director of convention services and project manager for the tours. Of planning the tours, Tammy says, "The season—which sometimes can help to determine themes and the overall logistics of the tour, types of venues and attractions throughout Wake County (old and new), anticipated exhibits, popular tours and suggestions from participants of past tours are some of the many factors I keep in mind when planning a new tour. Of course, without the participation, cooperation and generosity of our hospitality partners, none of these tours would ever take place! "​ GRCVB has facilitated 21 of these tours over the last five years. Previous versions include “Farm-to-Table Dining in Downtown Raleigh,” “Plentiful Parks,” “FANtastic Sporting Venues,” “FANtastic Venues of Western Wake,” “The Most Live Music” and many more. 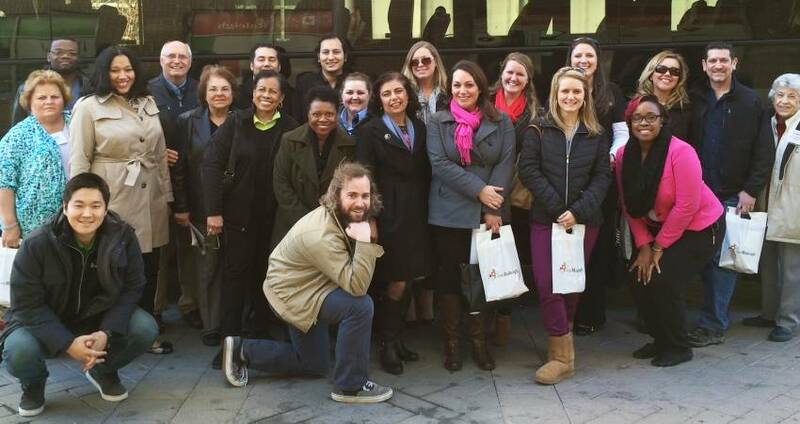 “Once again, I was thoroughly impressed with the tour you and your team delivered! I have taken both a tour of downtown Raleigh (including museums and historic areas) and of the sporting venues in Raleigh and Cary. Both tours were much more than I expected, with fantastic information from many people. Our front desk and leadership team members are planning to attend future tours as the information shared is very valuable for us to know when working with our guests." "I have lived in Raleigh 19 years and can’t believe how much I didn&apos;t know about the area’s history! 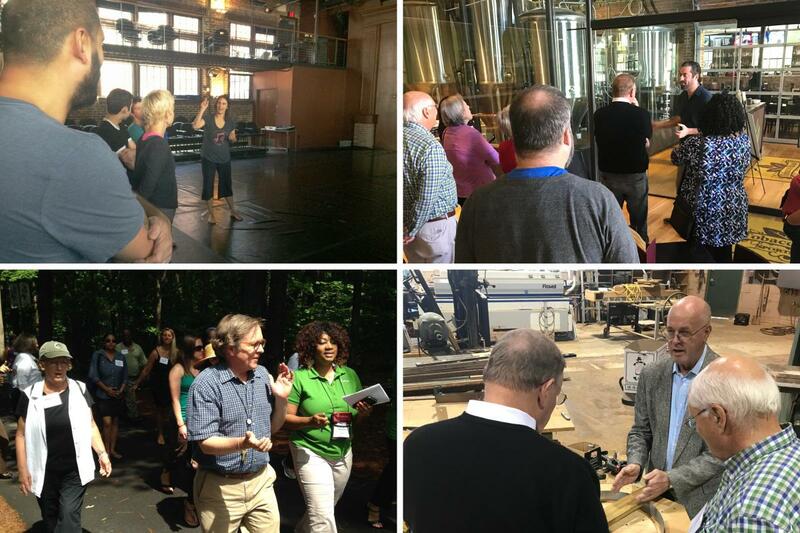 This was a fabulous tour, very well put-together, on an absolutely beautiful day in downtown Raleigh!" "The tour was great all around. We got information, food, drink, and it was fun learning." The next SFY Fam Tour is being scheduled for March 2019. Be on the lookout for the email invitations as well as announcements in the Tourism Talk E-newsletter and sign up early; spots are limited.